Dynaudio reveals Excite X14A active speakers | What Hi-Fi? The Excite X14A is a compact, active speaker and follows in the footsteps of the Excite X14 passive model. Dynaudio says it’s tailored the electronics with the drive units in this new active version to create “the ultimate compact audio system”. The X14A benefits from a bi-amped configuration in that a 50W digital amplifier powers the bass/midrange driver, while the tweeter also gets its own, dedicated 50W digital amp. "The most advanced digital power amp modules and DSP (digital signal processing) design” have been used, and Dynaudio says these complement the soft-dome tweeter and MSP (magnesium silicate polymer) long-throw woofer. MSP technology has been used in Dynaudio’s Focus XD range of speakers too. The Excite X14As are said to offer a “clear and open” sound straight out of the box but there are also three equaliser switches for adjusting the sound depending on where the speaker is placed: near a wall, in a corner or free-standing. The Excite X14As feature two rear analogue connections: one RCA and one XLR. 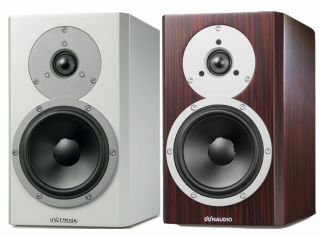 The speakers are available now in satin white, satin black, rosewood and walnut finishes for £1350 per pair.